Flashback to February 2018 when I first visited Massaros Restaurant in Kangaroo Ground. It was for the wedding of the always bubbly couple Brittany and Scott. For those that have never been, Massaros is an Italian rustic restaurant, complete with an outdoor paved area, fairy lights and woodfire pizza ovens! I remember arriving at the venue and walking up to the ceremony area. As soon as you walk in you are instantly hit with amazing views of the vineyards, the olive grove and the city skyline in the distance. I honestly just stood there for ages gazing out at this view! STUNNING! I really loved getting to know Brittany and Scott - we first met at a wedding expo and instantly clicked! They celebrated their 9-year anniversary the day before their wedding and Scott proposed in one of Brittany's favourite places, the happiest place on earth – Disneyland! They started their wedding day with ‘first look’ photos by the talented Perla Photography. They chose to do this so that they could enjoy spending time with their families and friends post ceremony, however you wouldn’t have known! As soon as Scott saw his bride at the end of the aisle you could see his heart explode with excitement. We shared many laughs and memorable moments throughout the ceremony – there was the adorable page boy Liam who almost stole the show, a slight slip up during the vows by Scott (happens all the time I promise Scott) and Nanna Claire sensibly delivering the rings to the Best Man. Brittany and Scott both share unique versions of their future together - Scott has big plans to retire and move to New York, whereas Brittany is happy to sit on their porch eating vegemite toast. Whatever their future holds, I know that it will involve lots of laughs, love and tales as old as time. 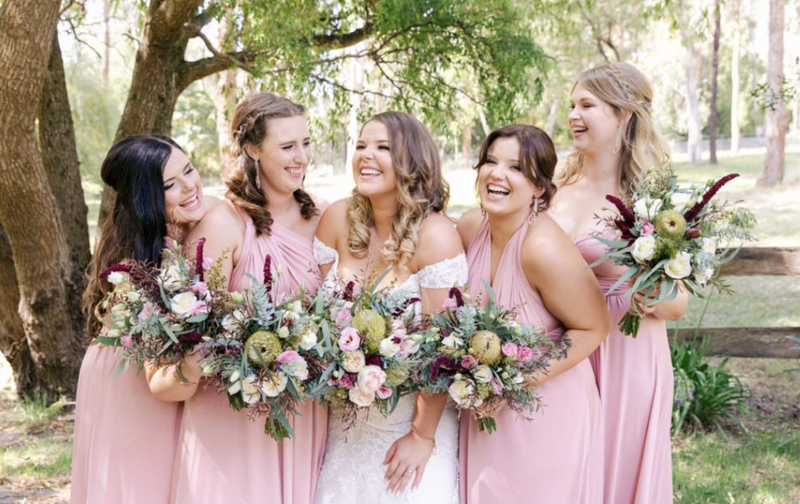 We felt fortunate to have Anna as our celebrant for our wedding day! Anna was professional and organised, although she felt like a friend, she was calm, kind and welcoming! She made our vows feel personal and romantic! Thank you for everything Anna!